Property ID: 2569, Mixed Use Land. Are you looking for a prime property in Lekki ? Then we have the perfect property for you! 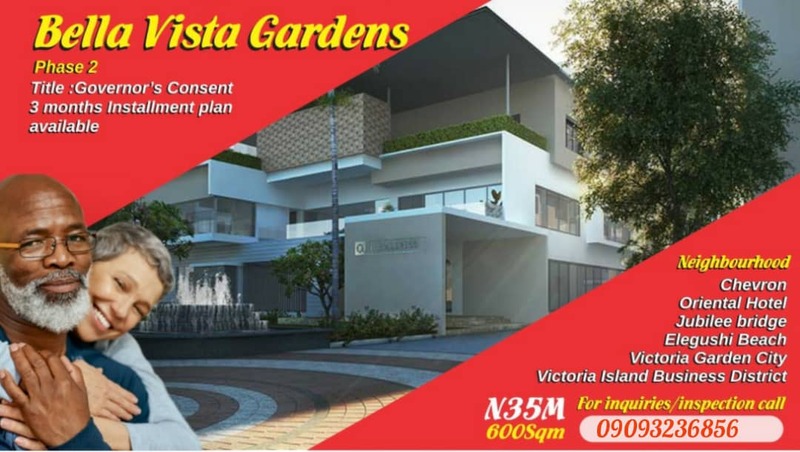 Bella Vista Gardens Phase 2 is in the heart of Ikota Villa Estate, behind Mega Chicken and inside the Lagos Government Reservation off the Lekki expressway. It is a prime property already surrounded by other luxury residential property, because of its proximity to the central Lagos business district and just beside Victoria Garden City (VGC) in Ajah Lagos. It is easily accessible from different parts of Lagos. It a wonderful and secure investment that will be worth hundreds of millions of Naira in a few years.